As a parent, I love Valentine’s Day. Instead of focusing on the romance (because who wants to find a sitter just to fight crowds anyways? ), we focus on family. 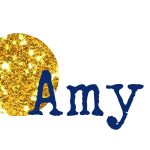 Even though we show our love for one another every day, I love having a special day to refocus. Plus, there are all the treats to take to Valentine parties!! 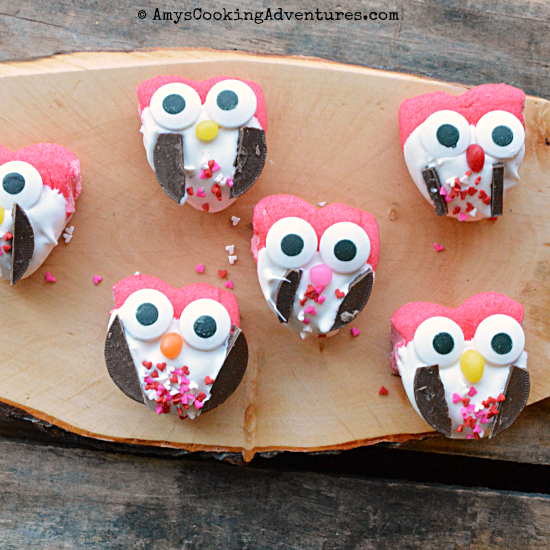 This week, Spud & I raided the Valentine section (and kinda some of the leftover Christmas candy, too) and came up with these cutie patootie little owls! After I dipped the owls, Spud took care of the rest, if fact, I was given the stink-eye if I even thought about putting the sprinkles on! So there you go! 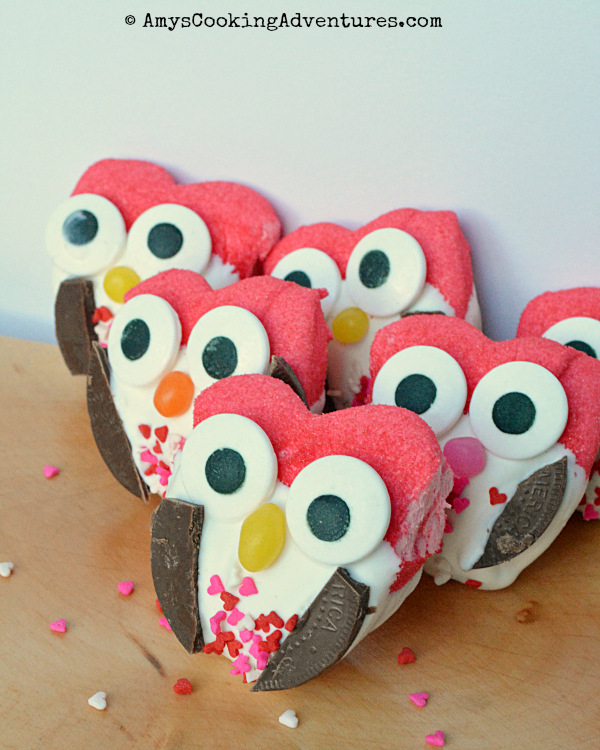 A quick, fun Valentine treat for the kiddos! Separate the marshmallow hearts. Dip the bottom half of one heart into the melted chocolate. Place two eyes near the top, with a jelly bean between them as a beak. Cut the edges off the chocolates and place them on the sides to act as wings. Quickly sprinkle the belly with heart sprinkles, before the chocolate sets. Repeat with remaining ingredients.